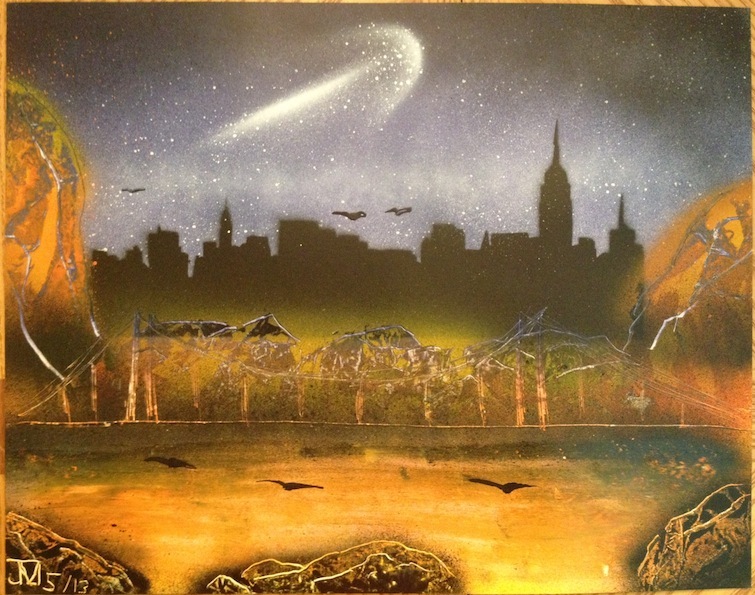 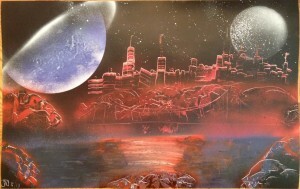 New York City spray paint art for sale at: FantasySprayPaint.com. The first painting is a variant of Harbor Cove. The other painting is New York City during the day.